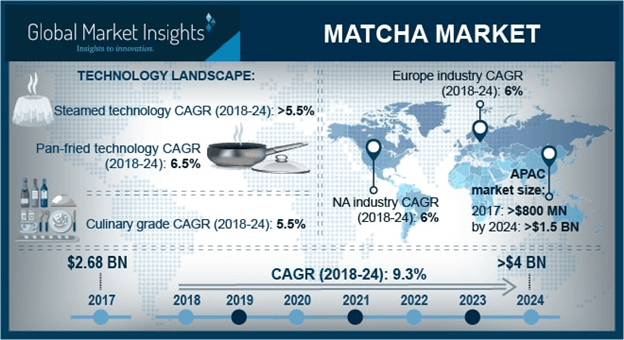 Matcha Market size is set to exceed USD 4 billion by 2024; according to a new research report by Global Market Insights, Inc. Growing youth population, purchasing power and acceptance of matcha contribute a major share in sales. It is widely consumed as regular tea however it also is incorporated into ice creams and bakeries thus boosting product demand.